In which all 3 of us celebrate 6 years of Galactic Suburbia with an excellent baby and variable cake. ALISA IS BACK THIS IS NOT A DRILL! You can get us at iTunes or Galactic Suburbia. JK Rowling, Native American “magic” and cultural appropriation. National Geographic outlines the issues. An open letter to Jo Rowling on the Native Appropriations blog – why indigenous people are not magical creatures. A list of all the dead lesbian & bisexual female characters on TV and how they died (many spoilers). Feminist Frequency crowdfunding at Seed & Spark: a series of films about historical women. Tansy’s “Lamia Victoriana” story from Love & Romanpunk, podcast at GlitterShip. Defying Doomsday coming soon too! 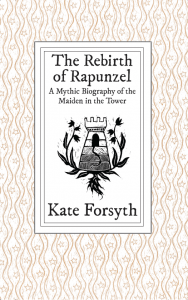 Listen to the end for the GALACTIC SUBURBIA GIVEAWAY – win a copy of The Rebirth of Rapunzel: A Mythic Biography of the Maiden in the Tower by Kate Forsyth, a unique non-fiction collection presenting Kate’s extensive academic research into the ‘Rapunzel’ fairy tale, alongside several other pieces related to fairy tales and folklore. Available soon from Fablecroft. AND, although we forgot to mention this in the show, it’s time to nominate for the Galactic Suburbia Award! We want to honour activism and/or communication that advances the feminist conversation in the field of speculative fiction – so if you’ve got someone or something that should be nominated for 2015, let us know!